Super Heroes and Mutant Villains – Update! | hesaidwhatnow? Super Heroes and Mutant Villains – Update! For those who missed it, recently on Hesaidwhatnow? we reported that a hero dressed as the Caped Crusader apprehended a wanted criminal and took him to the police. Awesome. 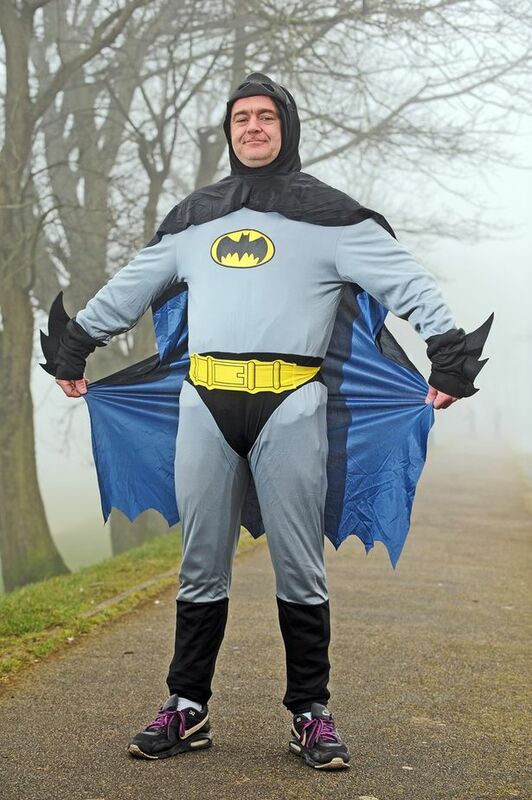 The man – dubbed the ‘Bradford Batman’ – then “promptly vanished into the night to fight crime, and the fear of crime”, as the local police described it, before his identity could be revealed. Well the Bradford Batman has taken an unprecedented step for a superhero and disclosed his identity. No, he is not handsome billionaire Bruce Wayne, but 39-year-old Chinese takeaway deliveryman, Stan Warby. Holy kung pow chicken! As Warby described it, he was friends with the criminal in question, and had been trying to “knock some sense into him” during the week to try to get him to turn himself in to police (as opposed to turning himself into police, which would require the ability to multiply himself and several years’ training at the Police Academy). After some time in contemplation – possibly in a cave full of bats – the criminal came to his senses and asked Warby to give him a lift to the station. The problem was at that moment Warby had just been to a soccer match, dressed as the Dark Knight. Hence all the fun. So why did Warby decide to expose his secret? For fame or fortune? To inspire the Peter Parkers and Clark Kents of the world to share their identity? No, Warby’s chief motivator it seems was to let everyone know that he only appeared tubby in the footage captured on the famous night because he was wearing a tracksuit underneath his costume. You might say such motivation is vain, but think of what Penguin and the Joker might do if they thought Batman had let himself go? Instead, the local community can relax, knowing that out there, somewhere, a hero is there to save the day. So remember Bradford, if you see the Bradford Batman, be sure to thank him. And tip him generously for the sizzling Mongolian lamb and honey chicken.